You may think that running wild in the forests of Georgia, pretending to kill zombies (and each other), wouldn't have much pay off offscreen, but, you'd be wrong. So, so, very wrong. As it turns out, post-apocalyptic role playing comes in handy, especially when a dire situation presents itself. What the heck am I getting at here? Well, as per TMZ, The Walking Dead's Norman Reedus and Steven Yeun helped a car accident victim in Georgia and saved the day. Which, is unsurprising given that both Daryl Dixon and Glenn Rhee are two dudes I'd definitely want in my corner if I were in trouble. According to TMZ the co-stars were riding their motorcycles when they encountered the car crash and stopped to help. They were zipping around on their bikes? Were they in the middle of filming or something? Because this "rescue" just sounds too epic to not be scripted. I mean, I don't want to stereotype the actors or anything, but they're kind of oozing that badass vibe that only zombie slayers can. Are we certain that they aren't actually Daryl and Glenn? Because at this point, I am honestly not too sure. This particular instance of life imitating art is almost a little too on the nose. It's uncanny. Especially when you consider that they also share their characters' altruism. TMZ noted that while the injuries of the victim weren't severe, Reedus and Yeun reportedly waited with them until the paramedics came. Which, as I'm sure you're thinking as well, is something that both Daryl and Glenn would totally do for one of their fallen or injured friends. Now, TMZ does a bit of speculating over the fact that not only were the actors hanging out together, but the fact that they were hanging out together in Georgia, where The Walking Dead films. 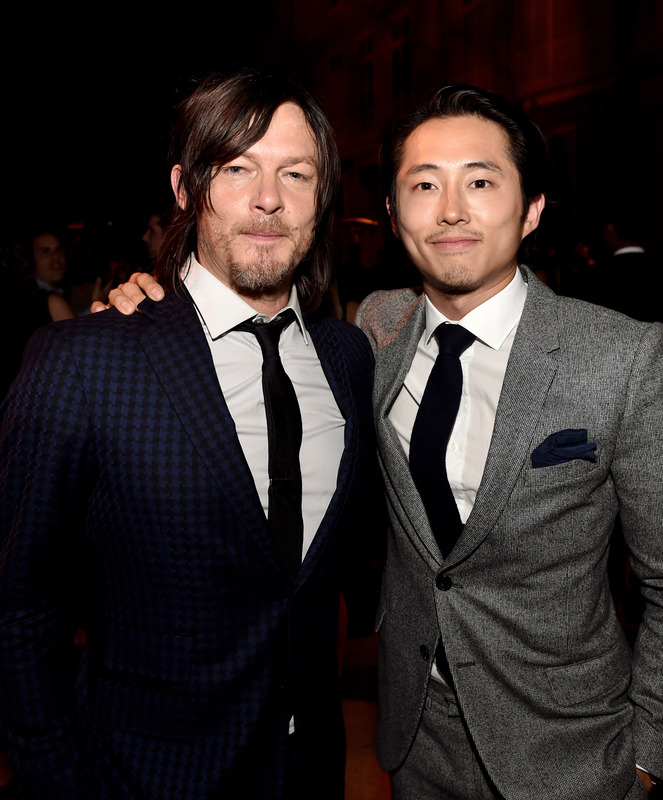 They assert that this means that Daryl and Glenn have lived to see the new season. But, I don't know, guys. There's always that possibility that an actor is there to shoot a flashback or hallucination or dream sequence. Basically, I'm not getting my hopes up just yet.